Old Testament “Beast”, New Testament “Beast” … Did you know that Antiochus IV Epiphanes was a type of Old Testament “beast” who tried to destroy the Jewish people (and the Seed) and is seen in Daniel 11 as an almost prototype of the “future Beast” who men today call “anti-christ”? 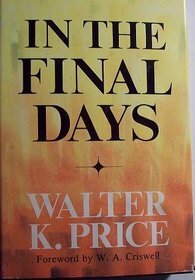 An excellent side-by-side comparison between these two “beasts” was done by theologian Walter K. Price who explored this subject in his book “In the Final Days”. He had a great deal to say about how this Old Testament “Beast” gives us insight into the future “Beast” and also addresses the surrounding culture of the day.